No NHL fan's bar, den, kitchen, or man-cave is complete without this NHL team shot glass set. 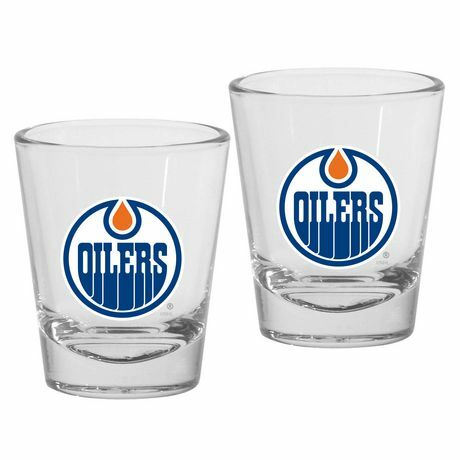 Emblazoned with the team logo and colours, each glass holds up to 1.5 ounces of your favourite beverage. Displays Team logo and colours. Made of glass.